The Richard Woodward Mortgage Team Reviews. At Service First Mortgage, we believe we have the best jobs in the world. Richard has been a top mortgage lender in Mckinney Texas for over 16 years. His team of talented and caring mortgage professionals help you afford the home of your dreams. The process of financing a Mckinney Texas home can be complicated, and maybe even a bit scary. Richard Woodward’s team at Service First Mortgage can help you navigate these waters and find the right home loan for you. As a direct Mckinney mortgage banker Richard’s team has the connections and resources to provide you the best possible home buying experience. This page is dedicated to all of our clients. After receiving so many warm sentiments and accolades, we decided to post them all here. We’ll share their words with the whole country, so everyone can know how easy the loan process through Service First Mortgage can be. We understand how big of a decision your home loan is, Richard Woodward’s team at Service First Mortgage has the expertise, caring and dedicated support needed to help you. With our commitment to your success, you can rest assured we have your back. Start Your Own Best Home Buying Experience Today. 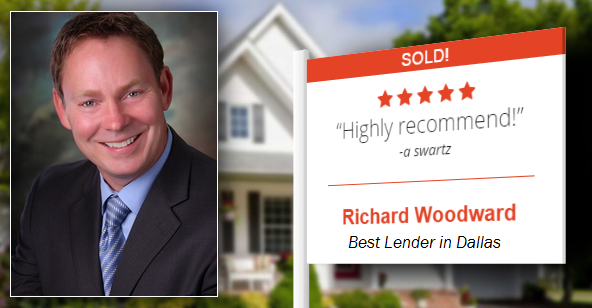 Read our 5 Star Customer Reviews and see why hundreds of families and Realtors trust The Richard Woodward Mortgage Team. Richard is very thorough and knows his mortgages. I’ve worked with Richard as a realtor and loan officer for 10 years and there’s no one else that I’d rather use than him and his team. Richard and his team was awesome! Very thorough and reassuring every step of the way. Thank you so much for helping us buy our first home! Richard and his team did a great job! Closed on time and kept me and my client updated the whole time. I highly recommend Richard! Interlinc always keeps you informed of the process. “This is my second positive experience with Richard’s team. This time we had the added stressor of a long distance purchase and finance. Down to the wire, even Interlinc members didnâ€™t hold out much hope, despite their great efforts. Two hours after the title company had closed for dinner and locked their door, leaving us with one agent to sweat it out with us, after our long drive to Austin from Dallas for the early afternoon meeting, Woodwardâ€™s hail Mary pass (fixing the last minute paperwork snafu by the title company) and has us living in our dream home, far away from our old big city digs. Thanks again. You get 5 stars.” Thanks again! Richard goes above and beyond for all of his clients and Realtor partners. There is not a lender out there that does a better of job of keeping all parties informed throughout the entire process. Buying a new home is a very stressful experience, but Richard does such an awesome job of ensuring that there are no surprises and everyone is comfortable throughout. 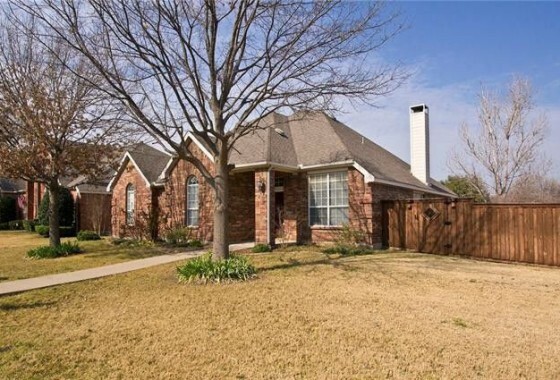 He is absolutely one of the top lenders to work with in DFW. Richard is a very ‘hands on’ lender and takes very good care of our clients. Great Service! Quick and easy loan process. Great experience. Very smooth process. Richard is very professional. Thanks for all the hard work and a smooth closing. The team worked very hard to get me into my first home, Jan was a rockstar and Richard answered every phone call each time (there were a lot!). I highly recommend their services, especially to first time buyers, they thoroughly explained the whole procedure and made it a lot easier than I thought it would be. Thanks, guys! You have my stamp of approval! As a realtor, representing the seller, it was such a pleasure working with Richard, he updated the status of the loan processing point by point for a faster and smooth transaction. Richard did great in keeping us informed and updated throughout the transaction. Very professional too. Thank you! Extremely helpful with anything we needed help with & had questions about. All around great ! The professionalism surpassed our expectations! From our very first call with many questions at the end of a work day ALL being answered, to the closing table, surpassed our expectations. Richard and his AMAZING team communicated with us every step of the home buying process. This process wasn’t as stressful as we anticipated, We couldn’t see everything going on behind the scenes, but we put our trust in Richard and his team and we weren’t left dissapointed. I would HIGHLY recommend Interlinc Mortgage. I have been through the home buying process 3 previous times, but this was by far the easiest buys I have ever went through. From the start, Richard Woodward walked me through the process and kept me informed on what was going on. Jan is by far one of the most pleasant people to work with, especially during the stressful experience of purchasing a home. I will recommend Richard and his team to anyone I know that is looking to buy a new home. Great job Richard, Jan and team!! You are the best!!!! I’ve always thought buying a house was a difficult process but the staff at Dallas Mortgage Pros made it so easy and effortless for me to purchase my home. They were great to work with, very patient, professional and full of knowledge. Even after the process was over they still send monthly news letters to keep me updated on what’s going on with the housing market. If I have to do it all over again I would choose Dallas Mortgage Pros. Richard and his staff are extremely professional and efficient. They are always available to answer any questions or concerns that you may have. They provide updates on the entire process, and explain reasons for any delays that may occur. In addition they take the time to provide extra services that are needed to in order to get ready for closing. They are very personable and always treat the customer as their most important priority. I highly recommend Richard and his staff.